Arrival at Paro via Bhutan Airlines, Our guide will receive you at the Airport. Check into your hotel and post lunch sightseeing in Paro valley. Paro valley is one of the oldest and a rich valley in Bhutan. Known to be as the main trade route to China during the olden days of Bhutan. The Paro Dzong has a long and a fascinating story and our guide is the best person to reveal the history to you. Arrival at Paro and visit of Paro Dzong and overnight at Paro. Early morning drive to Sang Choekor to begin our first day of trek to hold our first night at the Bumdra. During the trekking you are sure to have a breath taking view of mountains and also it's a trek that will bound you with nature. Be ready to relish the moment of how a Bhutanese nomad lives their life up in the mountain. overnight at the base camp. With a good breakfast be all set to walk for 15 km to reach the heavenly abode of Guru Rinpoche. Paro Taktshang the is oldest and the most worshiped temple in Bhutan. it has a very beautiful history that revels about how Buddhism came to Bhutan. With a final hike of 45 mins from Taktshang you will finally drop to the base camp from where our car will take you to the hotel for an over night. Drive to Thimphu, the capital of Bhutan. Here you will see the developed version of Bhutan however, Bhutan has still maintained its culture and Thimphu is the best place to see our culture come alive. A visit to the Royal Textile Academy of Bhutan, ZorigChusum and visit the very well know Changangkha temple will be part of the tour on reaching Thimphu. The day will begin with a short drive up to Mothithang Zoo. This is where your short hike to Phajoding begins. 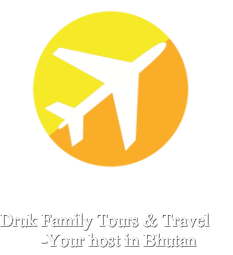 Our guide will guide your way to the beautiful monastery and on reaching you may explore the landscape to the fullest enjoy your scenery and return for overnight at Thimphu. A morning sight seeing in Thimphu and post lunch we drive to Paro for an overnight. All you will trek is with your back –pack with only water bottle, batteries, cameras, Jackets and your basics daily stuffs such as medicines, toiletries and own supplies of chocolate bars, insect repellents and treatments tablets. Kindly carry warm cloths as it going to be cold and the temperature can drop at nights. Sun creams is advisable to be carried as the sun can be strong during the day. An additional horse will be deployed for the child if he wishes to ride.